An ecommerce store set up for this Spennymoor based client’s business to sell a range of e-cigarettes and accessories. 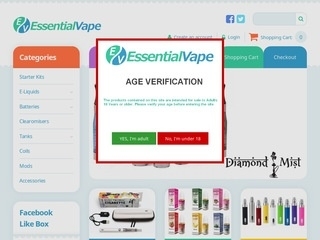 The site includes an age verification pop-up which is a requirement when selling this type of product. The client now fully manages the site and is easily able to add more products as required.